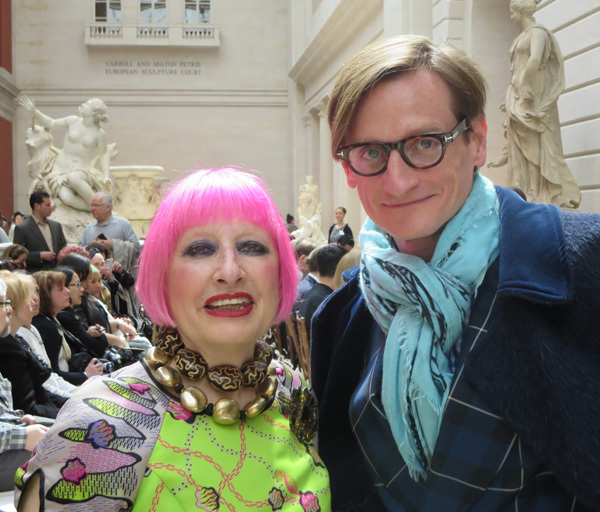 Home » Posts Tagged "May 6"
British designer Zandra Rhodes with her signature hot pink hair, now in a classic bob, with Hamish Bowles of Vogue, photographed during the Punk: Chaos to Couture Press Preview at the Metropolitan Museum of Art. Zandra has some of her famous dresses included in the great exhibition. Check Museums on www.helenoppenheim.com for photos of the must-see exhibition May 9 to August 14, 2013.